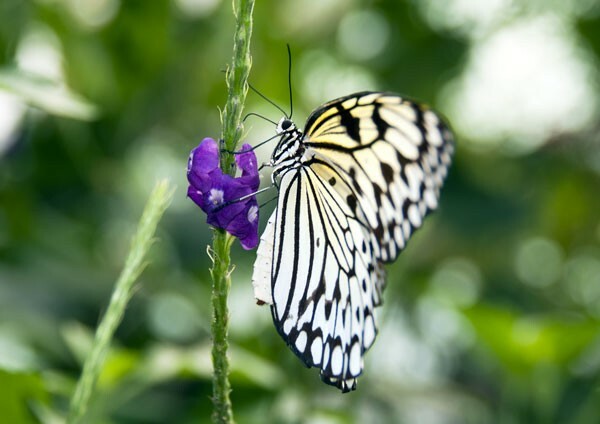 Posters or canvas print of a Malabar Tree Nymph perched upon a purple flower as it reaches out to extract nectar from within the flower petals. Malabar Tree Nymph Butterflies spends hours gliding in circles high up in the canopy before settling on its chosen flower. Malabar Tree Nymph perched upon a purple flower as it reaches out to extract nectar from within the flower petals. Malabar Tree Nymph Butterflies spends hours gliding in circles high up in the canopy before settling on its chosen flower. Malabar Tree Nymph (Idea malabarica) .